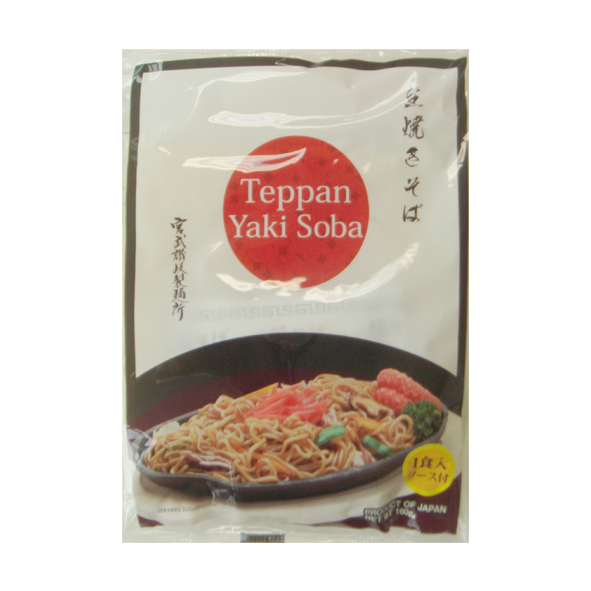 NOODLE (WHEAT FLOUR, WHEAT PROTEIN, EGG WHITE, SALT, RAPESEED OIL, COLOR (164).SAUCE (SUGAR, GLUCOSE, SALT, POWDER SAUCE, POWDER SOY SAUCE, RAPESEED OIL, SPICE, FISHERY PRODUCT EXTRACT, FLAVOR ENHANCER (621,635), ACIDULANT (296), CARAMEL COLOR (150a). 1) Heat 1tbsp of oil and stir fry noodle. 2) Add prepared sauce and stir well. 3) Turn off heat and remove noodles to plate. You can add your favorite meat and vegetable.